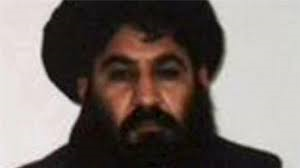 WASHINGTON, May 21 (Reuters) – The United States conducted a drone strike on Saturday against the leader of Afghan Taliban, likely killing him on the Pakistan side of the remote border region with Afghanistan in a mission authorized by U.S. President Barack Obama, officials said. The mission, which included multiple drones, demonstrated a clear willingness by Obama to go after the Afghan Taliban leadership in Pakistan now that the insurgents control or contest more territory in Afghanistan than at any time since being ousted by a U.S.-led intervention in 2001. Pentagon spokesman Peter Cook confirmed an air strike targeting Mansour in the Afghanistan-Pakistan border region but declined to speculate on his fate, although multiple U.S. officials, speaking on condition of anonymity, told Reuters he likely was killed. Bruce Riedel, an Afghanistan expert at the Brookings Institution think-tank, described the U.S. operation in Pakistan as an unprecedented move but cautioned about possible fallout with Pakistan, where Taliban leadership has long been accused of having safe haven. The U.S. drones targeted Mansour and another combatant as the men rode in a vehicle in a remote area southwest of the town of Ahmad Wal, another U.S. official said, speaking on condition of anonymity. U.S. special operations forces operated the drones in a mission authorized by Obama that took place at about 6 a.m. EDT (1000 GMT), the official said. That would have placed it at Saturday at 3 p.m. in Pakistan. Cook branded Mansour “an obstacle to peace and reconciliation between the government of Afghanistan and the Taliban” and said he was involved in planning attacks that threatened U.S., Afghan and allied forces. It was unclear who Mansour’s successor might be. “If Mansour is dead it will provoke a crisis inside the Taliban,” Riedel said. U.S. Senator John McCain, the Republican head of the Senate Armed Services Committee, said he hoped the strike would herald a change in the Obama administration’s policy against more broadly targeting the Taliban. The new U.S. commander in Afghanistan is currently reviewing U.S. strategy, including whether broader powers are needed to target insurgents and whether to proceed with plans to reduce the number of U.S. forces. “Our troops are in Afghanistan today for the same reason they deployed there in 2001 – to prevent Afghanistan from becoming a safe haven for global terrorists,” McCain said.